TOKYO -- Japan will set up a task force to look into measures to prevent irregularities in vehicle testing after Mitsubishi Motors Corp. admitted it falsified fuel-economy data to get better ratings for some of its models. Mitsubishi's manipulation of fuel-efficiency tests is "extremely serious," Transport Minister Keiichi Ishii told reporters after a cabinet meeting today in Tokyo. The ministry has given the automaker until Wednesday to report the findings of an internal investigation of the faked test data. Automakers are bracing for increased scrutiny of the way they label and advertise fuel efficiency and tailpipe pollutants after revelations in September that Volkswagen Group cheated on diesel emissions. Since then, government fraud investigators have raided French manufacturer PSA Group as part of broader checks into vehicle emissions, while Daimler said it initiated an internal probe into its certification process at the behest of the U.S. Department of Justice. Mitsubishi is scheduled to report its fiscal fourth-quarter results on Wednesday. The company is considering delaying its profit forecast for this fiscal year as it needs more time to measure the costs related to its disclosure of falsified data, according to a person familiar with the matter. The automaker has been testing passenger cars using a method not compliant with Japanese standards since 2002, according to President Tetsuro Aikawa. While the company said it's unclear whether the flawed method enhanced or reduced fuel economy, further revelations that ratings have been exaggerated may overwhelm the automaker, which has among the lowest levels of cash compared with its Japanese peers. 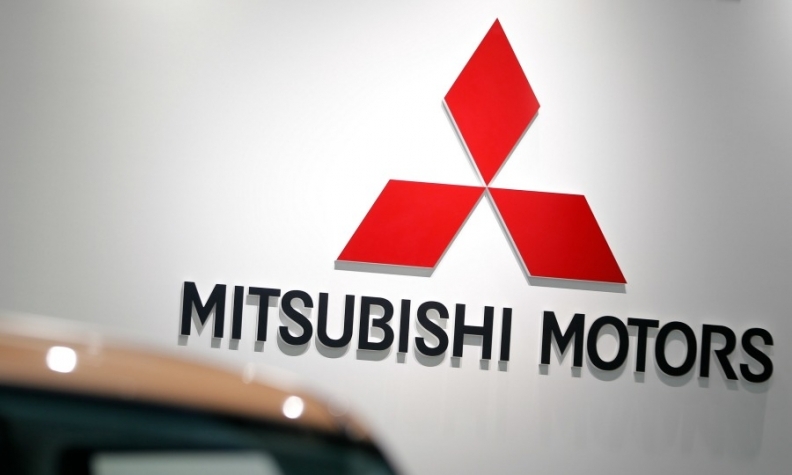 The carmaker required two rounds of bailouts more than a decade ago from Mitsubishi Group companies to survive a scandal involving a cover-up of deadly defects. "Mitsubishi Motors has come a long way since past problems, so this is very disappointing," Shunichi Miyanaga, president of Mitsubishi Heavy Industries Ltd., the carmaker's largest shareholder, told reporters in Tokyo Monday. "We need to think about the brand image of the Mitsubishi Group, its social responsibility and accountability for performance." Nissan Motor Co., which discovered the falsified data that led to the admission by Mitsubishi, will decide on its partnership after "all verification is done," said CEO Carlos Ghosn. Three-quarters of the affected minicars produced by Mitsubishi in the past three years were supplied to Nissan. Selling Point Fuel economy had been a selling point for Mitsubishi mini-vehicles as the company worked to overcome the residue of a 2000 recall scandal in which it admitted to overlooking fatal flaws in truck axles that could cause wheels to fly off. The company had been Japan's fourth-biggest carmaker as of 1999. The scandal has put Mitsubishi dealers in the path of customer ire. "We don't know what, in particular, we should do next," Masayasu Noguchi, a representative of Kanto Mitsubishi Motor Sales, a dealership near the center of Tokyo, said April 21. He said customers are angry about the falsification and have let him know it. "New customers are the ones who are worried the most," said Noguchi. "We have to handle this sincerely to keep them from walking away." It's not just new customers who Mitsubishi has to worry about. Shuhei Saitoh, a 65-year-old businessman in Fukuoka, Japan, recalls Mitsubishi misleading buyers about the safety of its trucks 16 years ago. Still, when he went shopping for the most fuel-efficient car he could find in 2014, he decided to give the carmaker a chance and settled on its Outlander PHEV, a plug-in hybrid. The latest disclosures of falsified data has dented his confidence in the carmaker. He has also been disappointed with his Outlander's fuel economy. Mitsubishi changed the test method and way of stating fuel economy for the Outlander in 2014 to avoid consumer confusion, according to Yuki Murata, a spokesman for the carmaker. "I was hoping they would change their corporate culture, but they didn't," said Saitoh. "I won't buy a new car from Mitsubishi."